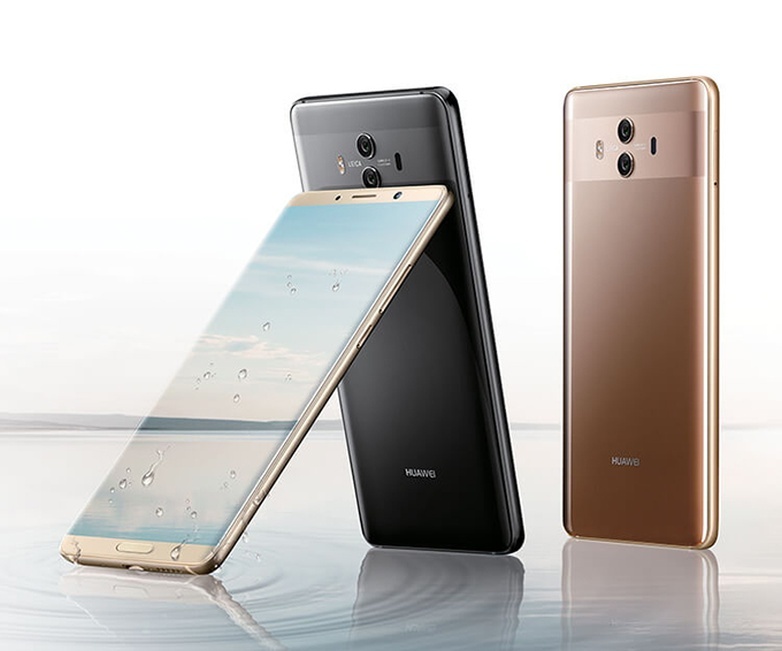 Leading Chinese smartphone maker Huawei today introduced three flagship-grade smartphones under the Mate 10 series. All three models boast a near ‘bezel-less’ design, power performance, impressive cameras, and long battery life. They are also the first Android smartphones to feature a dedicated AI engine powered by the Neural Processing Unit inside the Kirin 970 SoC. Let’s start with the Mate 10. Unlike last year’s Mate 9, the Mate 10 features an all-glass body with a 3D arc at the back, which is claimed to make it more comfortable to hold. Despite the fact the top and bottom bezels are extremely thin, Huawei has managed to integrate a home button on the bottom bezel, which also houses a fingerprint scanner. It sports a 5.9-inch RGBW LCD FullView display with 1440 x 2560 Quad HD resolution, HDR support, and 96% of the NTSC color gamut. Even though the Mate 10 does not use an 18:9 aspect ratio like other smartphones with a “bezel-less” design, Huawei has still managed to achieve an impressive 81%+ screen-to-body ratio. Powering it is HiSilicon’s Kirin 970 SoC clocked at 2.4 GHz, coupled with 4GB of LPDDR4X RAM and 64GB of onboard storage. The smartphone comes with a Hybrid Dual SIM configuration, allowing users to expand the storage further by up to 256GB. The dual-camera setup at the rear consists of a 12MP primary RGB sensor and a 20MP secondary sensor. Both the sensors are paired with an f/1.6 aperture Leica-branded lens. Huawei has equipped the cameras with 4-in-1 Hybrid autofocus technology (Laser + Contrast + Phase-detection + depth), AI-assisted Hybrid digital zoom, and 4K video recording. On the front, the Mate 10 features an 8MP selfie snapper paired with an f/2.0 aperture lens. Connectivity wise, the flagship smartphone offers Wi-Fi 802.11 a/b/g/n/ac dual-band, Bluetooth 4.2 Low Energy, GPS with A-GPS, GLONASS, NFC, USB Type-C, and 4.5G support (maximum download speeds of up to 1.2 Gbps). In terms of battery life, the Mate 10 is claimed to deliver 30% improved battery life over its predecessor, even though the battery capacity remains the same at 4000mAh. You have Huawei SuperCharge support as well, allowing the battery to reach 58% capacity in just 30 minutes. When it comes to software, the Mate 10 runs on Huawei’s EMUI 8.0, based on the latest Android 8.0 Oreo operating system. The latest EMUI 8.0 software integrates the AI-driven features in the camera app, helping users take better photos. With object recognition, the camera will automatically identify the subject of your shot and dial in the optimum camera settings based on that, so you get a perfect shot every time without any effort. It even works when taking selfie shots with a Bokeh effect. The Mate 10 Pro features a slightly bigger 6-inch 1080 x 2160 Full HD+ OLED HDR display with 112% of the NTSC color gamut and an 18:9 aspect ratio. In terms of hardware, the Mate 10 Pro is identical to the standard Mate 10 in most areas. However, there are a few differences. While the Mate 10 comes with 4GB of RAM and 64GB of internal memory, the Mate 10 Pro will pack 6GB of RAM and 128GB of built-in storage. It will not have a microSD card slot however, so you will not be able to expand the storage further. In terms of design, the key difference is the placement of the fingerprint sensor. Since the Mate 10 Pro does not have a physical home button on the front, the fingerprint sensor is mounted at the back of the handset. It also boasts a higher IP67 rating, making it water and dust resistant. While you gain water and dust resistance with the Mate 10 Pro, it doesn’t feature a 3.5mm headphone jack. Only the standard Mate 10 offers the analog connector. 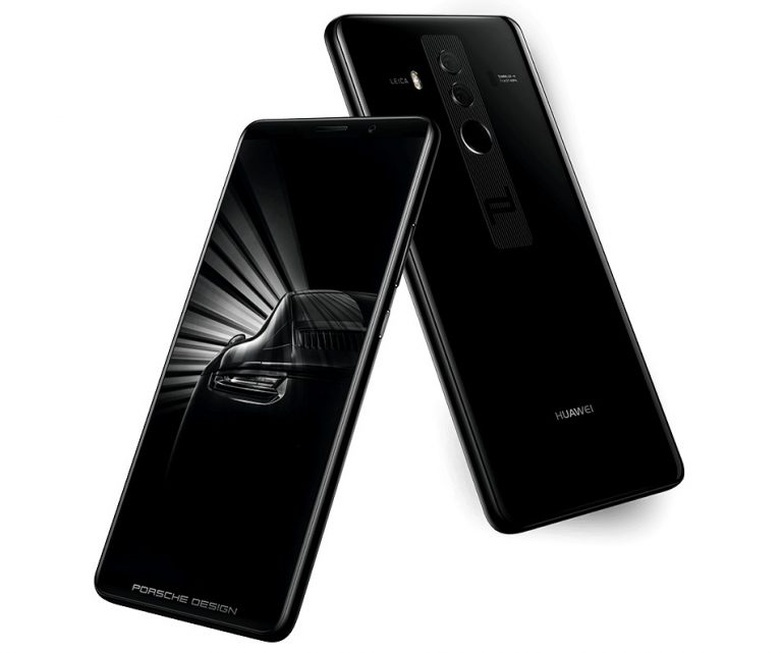 The Mate 10 Porsche Design is similar to the Mate 10 Pro in terms of specs but features automotive surfacing and a ceramic-like back that is actually made out of glass. It comes in Diamond Black color alone and will be going on sale in markets such as Bahrain, China, Egypt, Spain, Thailand, and the UAE by mid-November. The premium flagship smartphone has been priced at €1395. The Mate 10 Pro too is expected to begin shipping by mid-November for €799 in Titanium Grey, Midnight Blue, Mocha Brown, and Pink Gold colors. Some of the markets where it has been confirmed to launch include France, Germany, Italy, Malaysia, Saudi Arabia, Singapore, Thailand, and the UAE. Most affordable of the trio is the standard Mate 10, which is priced at €699 and comes in Classic Black, Pink Gold, Champagne Gold, and Mocha Brown color options. It will begin shipping in more than 15 countries by the end of this month. 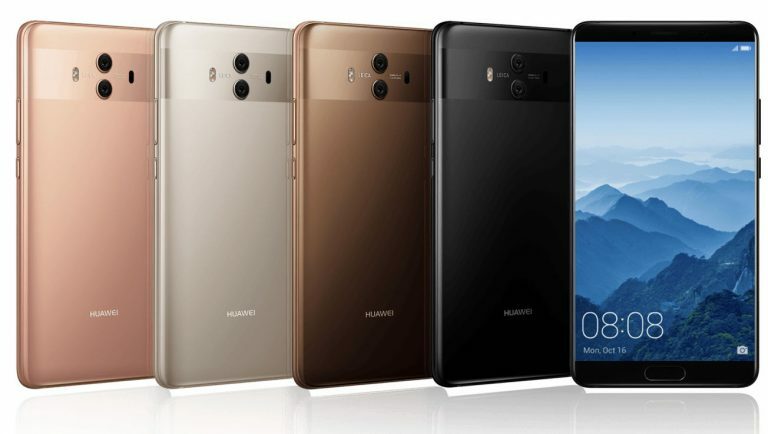 What are your thoughts on the latest Mate 10 flagships from Huawei?